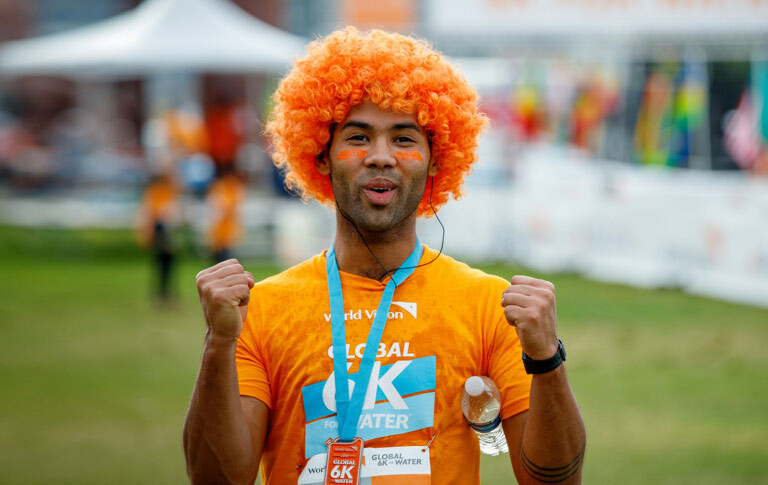 Join thousands around the world on May 4th to bring lasting clean water to children in need by walking or running in World Vision’s Global 6K for Water. Who gets to say what's possible? Where others see a mountain, you see a summit. What they call the daily grind, you call the chance to prove yourself. When they say it can’t be done, you ask when you can start. You are going big and you are not going home. They see a child in poverty. You see someone created in the image of God himself. but you can’t hear them over the sound of pushing all your chips in. The thing is, you’re never a world-changer. Until you are. Where others see a mountain, you see a summit. What they call the daily grind, you call the chance to prove yourself. When they say it can’t be done, you ask when you can start. You are going big and you are not going home. They see a child in poverty. You see someone created in the image of God himself. They say it’s a lost cause, but you can’t hear them over the sound of pushing all your chips in. The thing is, you’re never a world-changer.